I would write more today, but I'm busy listening to great music. 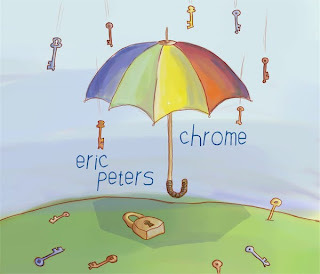 Eric Peters' new record, Chrome, is in constant rotation in our living room (and car) today, this week, and for a long while to come. 'Tis amazing. You can hear two tracks here and here. Then you'll want to scoot over here and buy the whole album ASAP, I promise. You're welcome. Yesterday I joined Brite Revolution, only $5.00 a month. I found myself listening to songs ALL DAY - musicians such as Andrew Osenga, Caedmon's Call, Drew Holcomb and The Neighbors, Katie Herzig, Matthew Perryman Jones, Milktooth, Ten Out of Tenn, Waterdeep, and many others. I'm so, so grateful for music. I'm actually planning to blog again this week, narrative-style. Talk to you soon! P.S. - I also purchased Eric Peters' epic adventure space novella, Revenge of the Birds. It's on my to-read list this week.